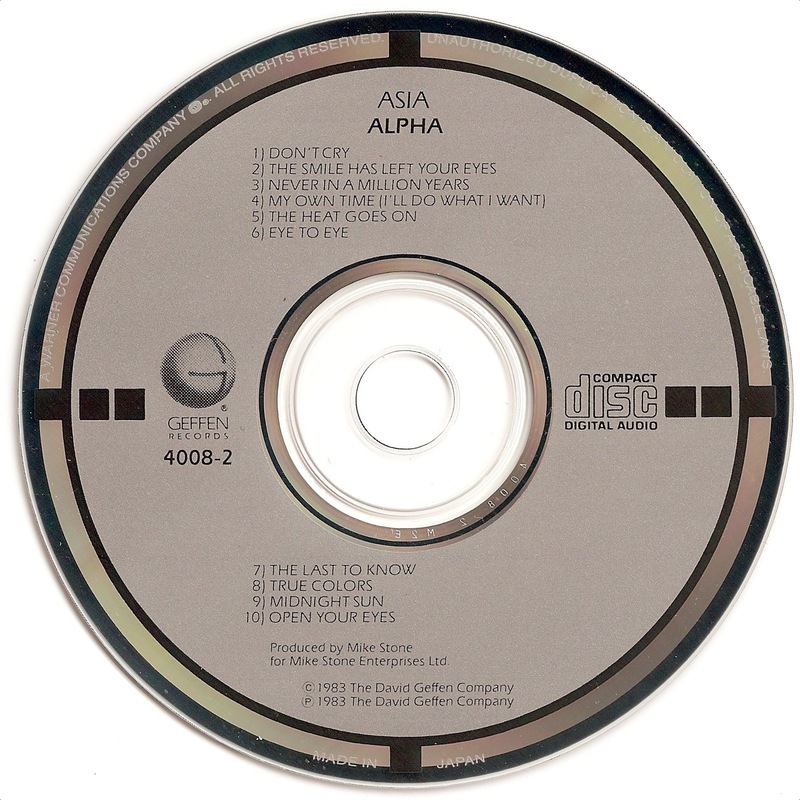 Asia's Alpha Target CDs were made in Japan by CBS/Sony and by JVC. The CBS/Sony pressings are known in three minor variations: no text, CSR COMPACT DISC stamped three times or MANUFACTURED BY CBS/SONY RECORDS, INC. stamped in the plastic center. They also have a DIDZ number underneath the catalog number at 9 o'clock and all have a silver background. The JVC pressings on the other hand have no text in the plastic center and don't have a DIDZ number. They either have a silver or a gray background. An example of the JVC pressing with gray background is shown below.